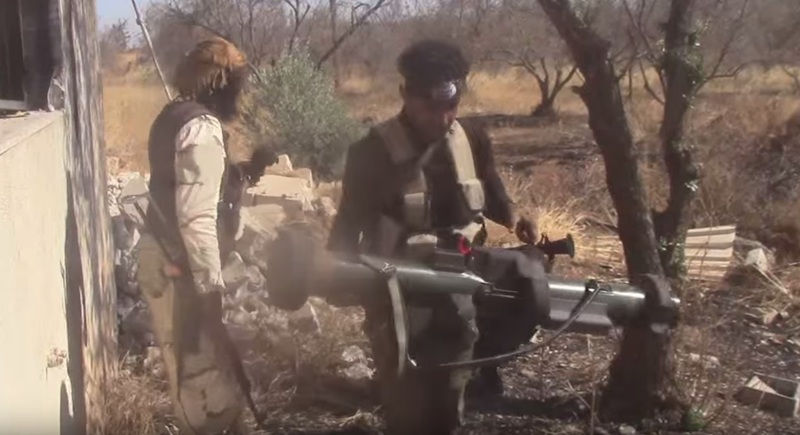 A video recorded during fighting near Maliha, Syria, in June 2015 shows a Syrian rebel fighter armed with a French APILAS (armour-piercing infantry light arm system). 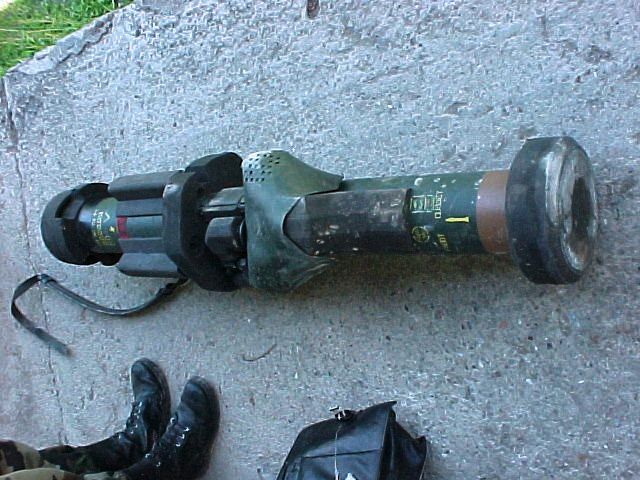 The APILAS is a single-shot, disposable 112 mm rocket-assisted recoilless anti-tank weapon, first issued to French forces in the mid-1980s and later in service with some 15 countries. The image above shows a fighter of the Horan Column Brigade holding an APILAS during a later clash near the outskirts of Daraa, in July. At 9.0 kg, the APILAS is considerably heavier than other single-shot, disposable anti-tank weapons in service with modern militaries. However, its 4.7 kg projectile delivers a 1.5 kg shaped charge warhead which offers penetration of rolled homogeneous armour (RHA) in excess of 700 mm . This is significantly more than most of its contemporaries at time of issue. The APILAS is also capable of penetrating more than 2000 mm of concrete. Several sources note that the APILAS proved an accurate weapon at shorter ranges, but most sources list its range as limited to either 320 or 350 m.
One recurrent criticism levelled at the APILAS is its bulkiness and poor ergonomics. In particular, the addition of a face shield became necessary to protect the operator. Other systems with good armour penetration and similar or better range characteristics, such as the Saab AT4 CS ER, offer a much sleeker, shorter, and more readily manipulated form factor, in addition to a modern sighting system and no need for a cumbersome face shield. The APILAS possesses the capability to be deployed as an off-route anti-vehicle mine. This can be achieved through breakwire activation, command activation, or in combination with a sensor package such as Ajax, developed by BAE Systems (this combination is referred to by some sources as ‘APAJAX’). Note that whilst several sources list slightly different projectile weights, charge weights, RHA penetration, and velocity, the figures given are drawn from French military EOD sources. Header image taken from here. Other images from a confidential source. With thanks to Manuel Gonzal and TM Gibbons-Neff.